Unique marketing projects often belie the effort that goes into their production. Having the privilege to document behind the scenes of these ventures gives a rare opportunity to pull back the curtain. 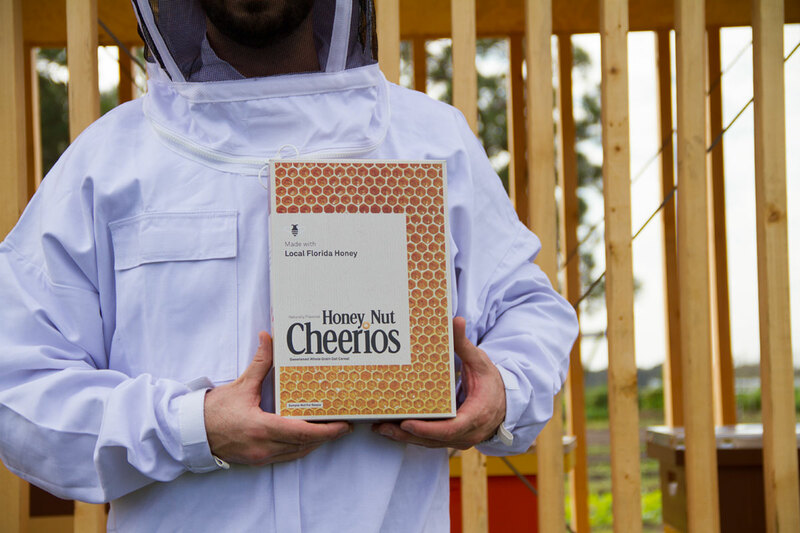 To bolster the “Made With Real Honey” campaign Cheerios commissioned the production of a three story billboard that housed more than 100,000 bees. 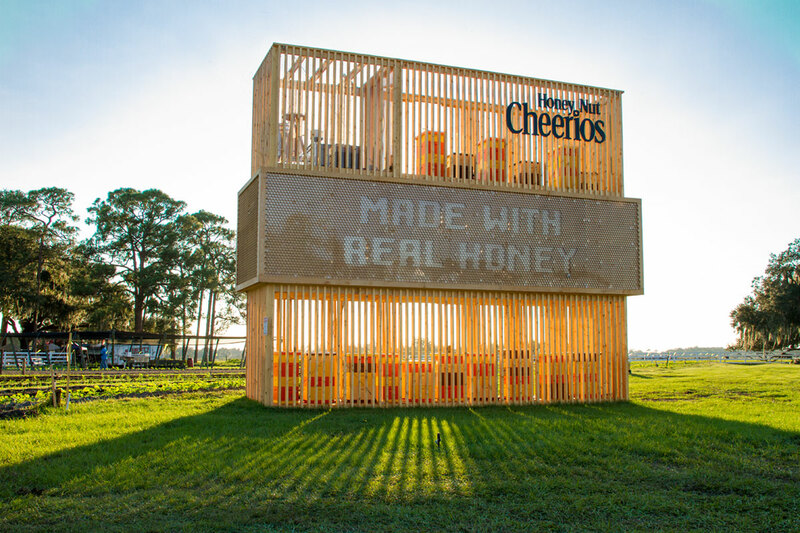 The honey produced from the bees was used to spell out “Made With Real Honey” by filling the clear letters on the structure’s exterior. 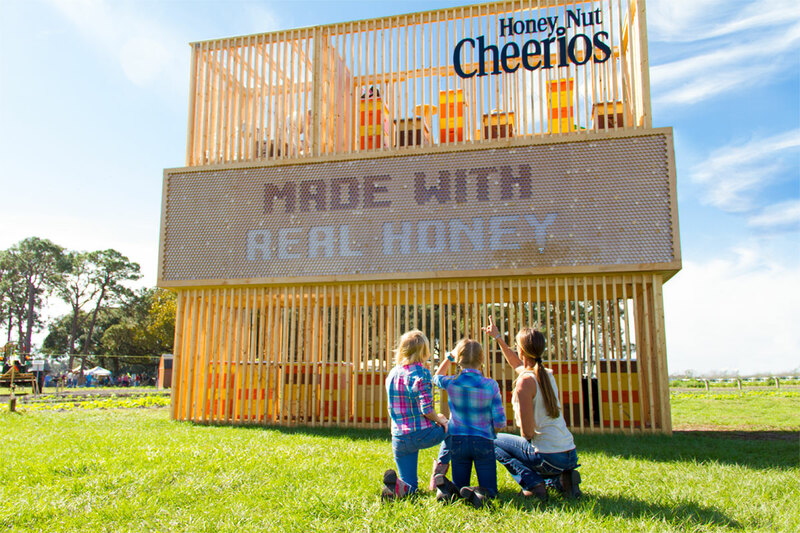 Once filled, a spout on the sign could be opened to dispense freshly collected honey. All of this was unveiled during the cook-off event at the Diamond Farm & Ranch in St. Cloud, Florida. Jekyll Works was brought on by Los Angeles based production company Helo to help tackle some of the needs for the Florida based production. We acted in two main roles. First as documentarians to capture behind the scenes videos and photos during construction, and later capturing video b-roll and additional PR photography during the unveiling event. Then as production liaisons, we helped facilitate communication between Helo and the billboard fabricators at Cinnabar Orlando. These responsibilities included providing renderings and logistics for the final billboard placement at the Diamond Farm & Ranch location. As well as communicating the current status of the project construction.